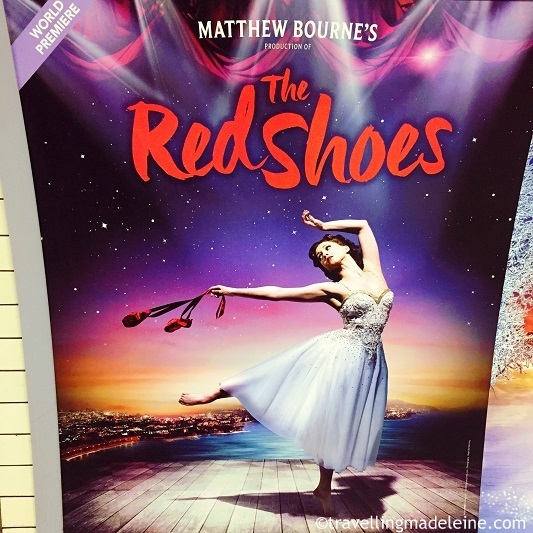 My first stage-watching in 2017 was The Red Shoes by Matthew Bourne!! I was so so looking forward to watching it! The base is a film from 1948. The story is based on Andersen's fairy tale "The Red Shoes". A girl became a prima ballerina and she is going to be anguished between love and dancing career. It is a prima ballerina's story, so I expected lots of point shoes dancing, but there was not so much. The highlights were the ballet "The Red Shoes and the scene crossing the ballet and the reality in Act 2. Specially, when the ballet started in Act 1, you will feel like you entered the world of a picture book. And there were lots of Bourne's witty choreography. I loved that.